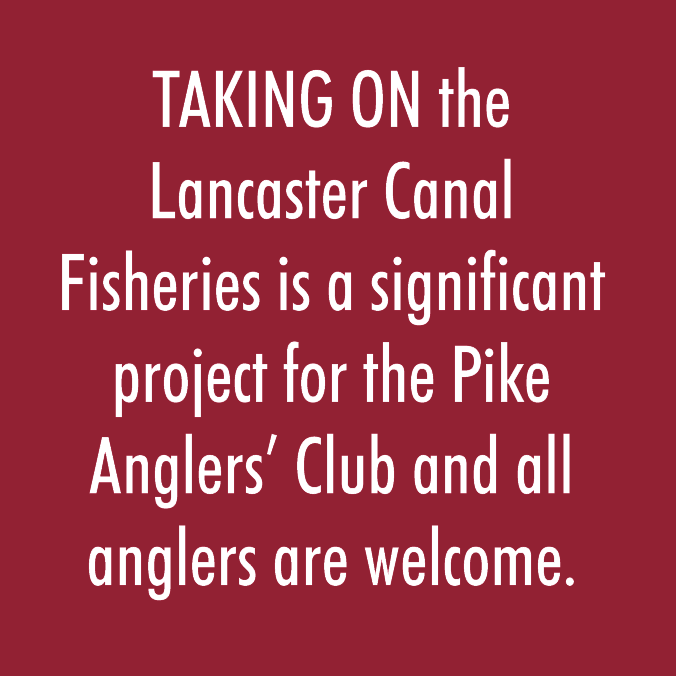 Taking on the Lancaster Canal is a significant project for the Pike Angler’s Club and one which will require a great deal of thought and effort. The misguided persecution of pike has taken place on a number of canals across the UK in recent years and this is an opportunity for the Club to demonstrate that good quality pike fishing can exist side by side with good quality match and pleasure fishing. 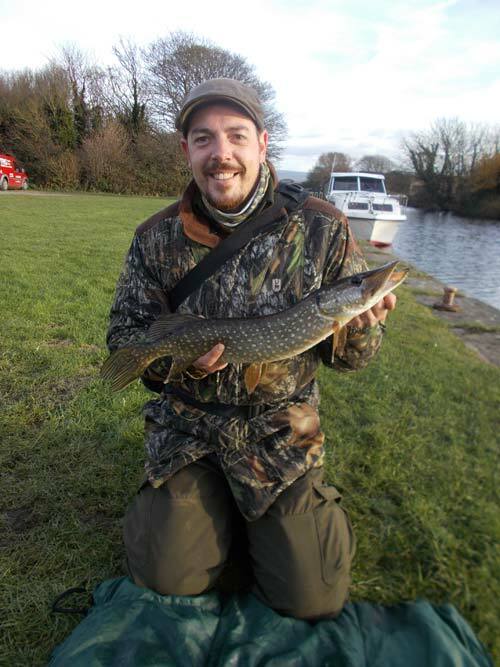 Pike eat fish, that’s beyond question, and so it is in the interest of the Pike Angler’s Club to ensure that this fishery has plentiful supplies of fish. This will give food for the pike, so providing good pike sport, but it will also provide good sport for all coarse fishermen. The PAC intend to develop this fishery as a good general fishery where everyone will be able to pursue their sport in a safe and friendly environment and where the fishing is good for everyone. I’m pleased to say that many of the canal’s regular anglers have come on board, not only by purchasing a membership but also by giving help and advice on how they would like to see the fishery run. Any such advice will be taken on board and anyone who wants to contribute will be listened to. We already have an active match group who have booked a full series of matches and their advice on stock levels and stocking have been heeded and will be followed. Our bailiffing team are determined to address the issues which members have already highlighted to us, poaching, litter and bank erosion all being high on the list. The Pike Angler’s Club is a national organisation with considerable resources to draw upon and we have already taken advice on managing the fishery from Dr. Bruno Broughton, the PAC’s Scientific Officer and arguably the UK’s leading fisheries scientist. The PAC has an excellent working relationship with the Environment Agency fisheries team in the Northwest and help and advice has been sought from them on the issues of poaching and stock levels. The club has several strong regional organisations in the area who will be supporting the project and we also have the support of the regional Angling Trust. All anglers will be made welcome and we look forward to a fruitful relationship with the Canals and Rivers Trust. To be at the forefront of PAC’s first fishery is an honour. The role will be a challenging one especially as the water has not been managed to any degree for many years prior to my predecessor, Eric Edwards tenure. The thought of change and rules will disgust and frighten many. However to have an exceptional general fishery that is safe for all the members, where everyone can enjoy their sport is of utmost importance, not only to me, but the PAC also. It must therefore be policed by a bailiff team. It falls to me to ensure the bailiff team apply the rules with fairness and equality, ensure any problems or matters arising from those using the water are addressed accordingly, with equality and without prejudice. Please Note: The PAC controls the Lancaster Canal from it’s Southern extremity to Bridge 118, Hatlex Bridge at Hest Bank. The stretch above the bridge is controlled by Bolton-Le-Sands Fishing Club.